Access – Can access sales history. Modify – Can edit non-financial information on a posted invoice. 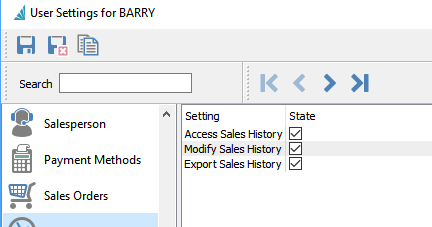 Export – Can export sales history.